Whenever you’re ready to start the next chapter of your life, give us a call at Right Way Movers. We assist La Jolla residents and businesses with their deliveries, relocations, moving, and much more. We’ve been in business since 2002. We work with our employees to make sure they are thoroughly and professionally trained to handle all types of merchandise, equipment and belongings. 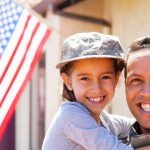 We also work with local military personnel and veterans to help support our military communities in the US. We’re capable of making deliveries and transportations of all types: one item moves, specialty deliveries, long distance, whole home relocations, and more. We serve the 48 continental states of the US, regardless of size and distance. We have experience servicing homes, condos, apartments, offices, businesses, delivery of specialty items, and more. Have a special item you need moved? Sending an important piece of furniture across town? Need to deliver equipment for an event? Our team has you covered. Sometimes people just need small moving companies to assist with a few select items, other times a family may need to move their entire belongings across Carlsbad. Regardless if you need small load movers, TV moving services, furniture movers, piano moving, one item movers, or any other type of delivery, we can help. If you ordered or own a new TV, piano, or other piece of furniture, we can move it for you from one local place to another. We are familiar with deliveries throughout Carlsbad and can deliver your items in the most cost effective and time-efficient manner. Sometimes families and organizations need to move a single object somewhere outside of Carlsbad. Not only are we experienced with deliveries of all sizes throughout Carlsbad and the surrounding area, but we can also help with relocations and deliveries to anywhere in the 48 continental states of the US! Maybe you need to send your pool table to your brother in another state. Or maybe you’re moving an heirloom piece of furniture from your Mom’s house. Even if you need just one single object moves across the entire US to the opposite coast, we’ll help you get it there in one piece. Our professional moving services including furniture moving services, couch moving service, and much more. Give us a call to learn more. Carlsbad companies always rely on Right Way Movers for the most effective and cost efficient moving services. We assist with businesses and moves of various sizes. Maybe you’re moving your office down the hall or relocating to another area in the city, or maybe you just need some new desks moved in or need an old couch moved out. Whatever moving service you need in Carlsbad, we’re here to help. The best part is that we offer you these excellent services without charging you an arm and a leg! Give us a call today at Right Way Movers for all of your moving and relocation needs!